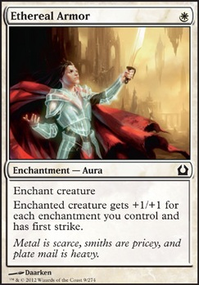 -1: Create a white Aura enchantment token named Mask attached to another target permanent. The token has enchant permanent and token armor. -7: Put the top seven cards of your library into your graveyard. 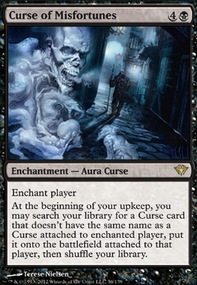 Return all non-Aura enchantment cards from your graveyard to the battlefield, then do the same for Aura cards. 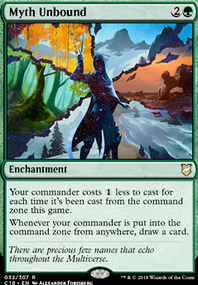 shwanerz88 on Advertise your COMMANDER deck! 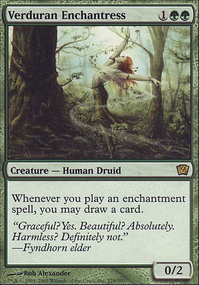 Just got this Enchantment themed deck sleeved up and ready for this week. I still am not sold on Estrid, the Masked but she's been doing alright for me in my testing. Any recommendations are welcome and appreciated. 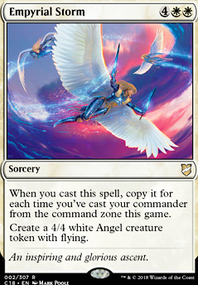 : Create an 8/8 white Angel creature token with Flying, Vigilance, and Indestructible. Each opponent creates a 7/7 black Demon creature token with Flying and Trample. : Exile all nonland permanents and graveyards. : Return all exiled permanents to the battlefield. 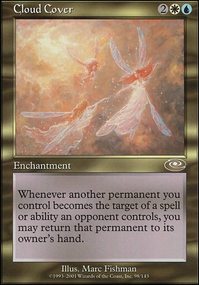 Return all instant and sorcery cards in exile to their owner's hand. Alright, an update. 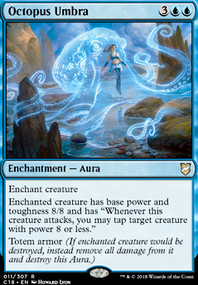 Finally found out how Felidar Guardian can be useful in a Superfriends CMDR Deck; Aminatou, the Fateshifter can use her -1 Loyalty ability to bounce another Walker that used a Loyalty ability prior, & if it can be copied, she can bounce Felidar Guardian , & as she enters the battlefield again, bounces Aminatou & comes back, all of those behaving as if they never knew their prior existence. Rinse, & repeat after every time another walker coming back into play uses just one Loyalty ability. FAR more value than one would think; & can help for all walkers this way, potentially allowing for infinite Loyalty Abilities. ALL WITHOUT The Chain Veil . 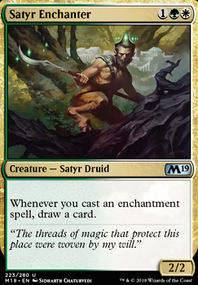 Jank, but at least the Guardian can even be used w/ Saheeli Rai as a combo that has been known to even be banned in some formats. This is why Estrid, the Masked got booted from even 2-Star status as the only way she would help is w/ Enchanted Evening ; but that would have to reduce the assistance value for Walkers as it only applies to her. 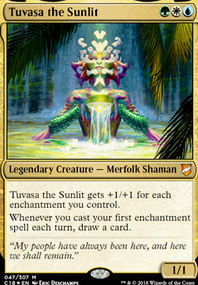 Felidar Guardian , however is Value Town when combined w/ Aminatou, the Fateshifter as endless blinking, & support for Saheeli Rai. These reasons, & more will show why as of now, Venser, the Sojourner will have a significantly lower score w/ the Walkers now available. Oh, & before I get off this topic, how does one make such a Primer in a way that seems more efficient? I see Primers have layers w/ sublayers. All in the Description. I don't suppose anyone can help w/ this kind of thing? I just need to put my categories in check. On other things, I still need to cut quite a bit for an Orzhov deck, but I don't know the most powerful CMDR it can handle; Zur? 100% Loss rate; so it doesn't count. 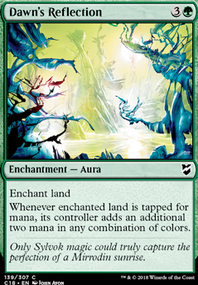 But what is this deck/color identity's most powerful opponent as a whole? Once I find a good weakness for that CMDR, I'll try & find what's available that can dispatch it. I just want to know the CMDR name I'm dealing as this deck's biggest challenge. Oh, & if you don't mind, I'm planning to do some card creation; Mono-, & Planeswalker, but the abilities are not what you'd expect for ; I just wish this place had a CHAOS symbol I could use for this... You know, Planechase? 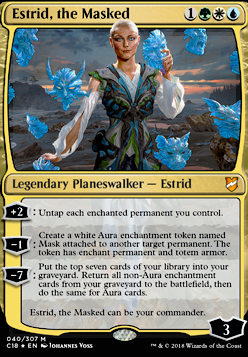 Estrid, the Masked can return enchantments. I think estrid and tragic poet, are both signs that they're working on it. 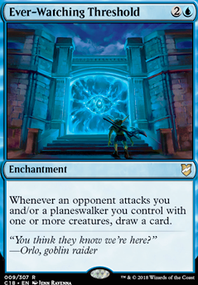 Of course, new additions are welcome if you can make a convincing claim for them, but note that I play in a fairly noncompetitive meta, so decks that want to win immediately and shut out all interaction are off limits. Rowan Kenrith would be amazing in here if you got her emblem from her ult. If you got the emblem every single walker activation would automatically be copied. Two for the price of one. 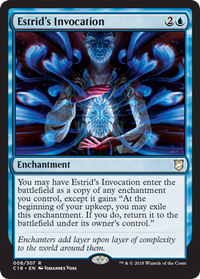 And for using the chain veil Estrid, the Masked would actually be easier to go infinite with the veil than teferi is. Hi! 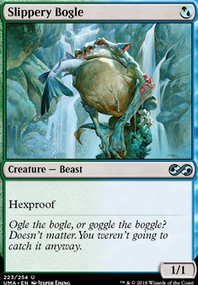 I've been working on a stax deck of my own using this list as a base, and everyone I know hates it! There's been a sort of power level arms race at my LGS, and I'm trying my best to keep things 'fair.' The decks arn't quite CEDH level yet save for a Selvala, Heart of the Wilds brostorm deck,Nekusar, the Mindrazer storm deck, and a tuned Derevi, Empyrial Tactician stax list. 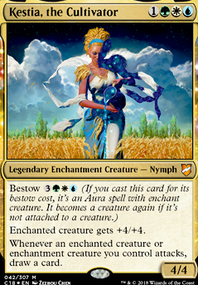 I have been experiencing some level of difficulty with Derevi and some Estrid, the Masked lists ramping faster than I can lay down my stax pieces/untapping and drawing cards through my stax pieces. 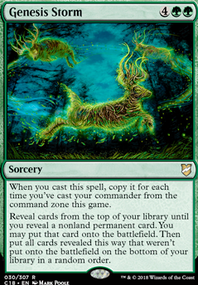 Should I compensate with Pithing Needle and Sorcerous Spyglass to shut out their commanders? Usually at tables there are a lot of interactive decks and I quickly become the villain, so meren has a hard time sticking around. Should I add in ways to protect her like Cavern of Souls or Lightning Greaves, or should I just invest more into making my list more independent?